This Toyota won't be on the lot long! Go anywhere versatility with roomy practicality! 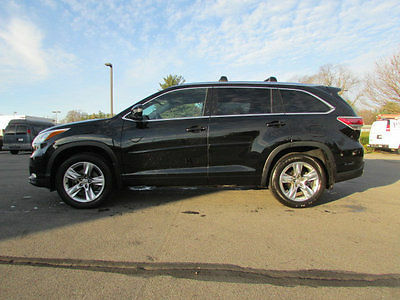 With less than 2,000 miles on the odometer, this vehicle rocks its class with 6-cylinder efficiency and distinctive styling! Toyota prioritized comfort and style by including: a rear step bumper, power door mirrors, and much more. Smooth gearshifts are achieved thanks to the 3.5 liter 6 cylinder engine, and for added security, dynamic Stability Control supplements the drivetrain. Four wheel drive allows you to go places you've only imagined. We'd also be happy to help you arrange financing for your vehicle. Come on in and take a test drive! Pickup Crew Cab, New Price! 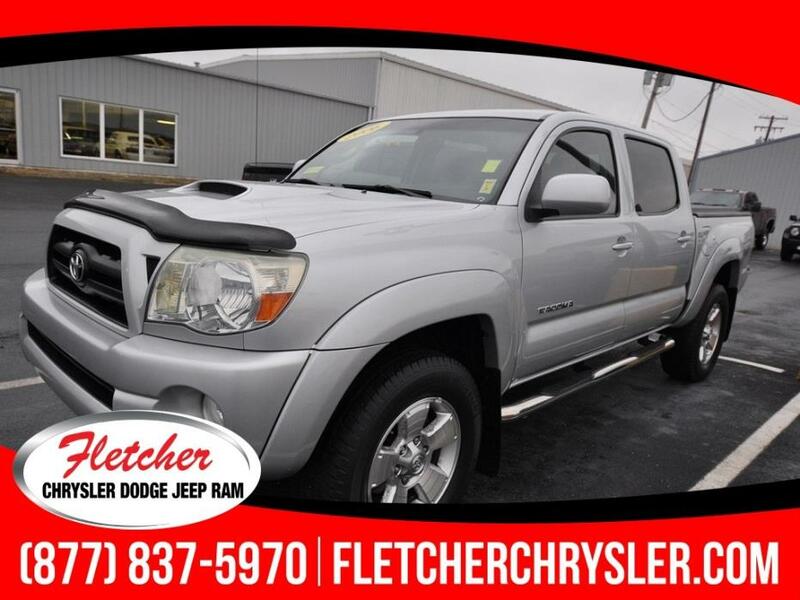 2010 Toyota Tundra Grade LOCAL TRADE, i-Force 5.7L V8 DOHC FFV, 4WD, Sand Beige w/Fabric Seat Trim or Fabric Seat Trim w/Off-Road Package or Fabric Seat Trim w/SR5 Package. 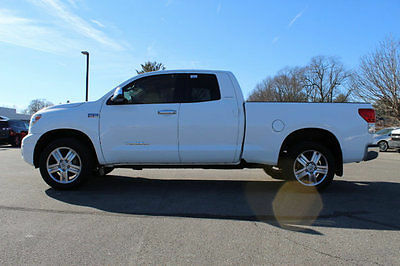 2010 Toyota Tundra Dbl 5.7L FFV V8 6-Speed Automatic LTD Dbl 5.7L FFV V8 6-Speed Automatic LTD Low Miles 4 dr Crew Cab Truck Automatic 5. James Mack (317) 748-9474 2712 East Main Street Plainfield Indiana 46168 ? ? ? ? 2002 Toyota Highlander All-wheel Drive V6 Vehicle Information VIN: JTEHF21A820076200 Stock: T70069B Mileage: 113,864 Color: Millennium Silver Metallic Trans: 4-Speed Automatic with Overdrive Engine: 3.0L V6 SMPI DOHC MPG: 18 City / 22 Highway Drivetrain: AWD Description Toyota Highlander Odometer is 39691 miles below market average! 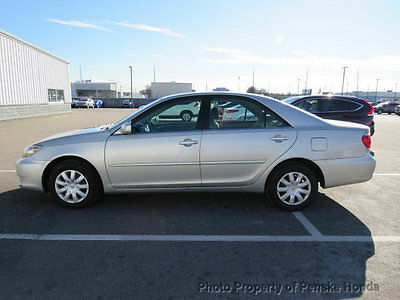 **Moonroof / Sunroof**, **Fresh Trade**, AWD, Millennium Silver Metallic. Come see the all new beautiful Andy Mohr Chevrolet showroom in Plainfield, Indiana where you get MOHR FOR YOUR MONEY! Message ? ? Options and Standard Features Options ? 6 Speakers ? Am/Fm Radio ? Cassette ? Cd Player ? Air Conditioning ? Rear Window Defroster ? Power Steering ? Power Windows ? Four Wheel Independent Suspension ? Speed-Sensing Steering ? 4-Wheel Disc Brakes ? Abs Brakes ? Dual Front Impact Airbags ? Front Anti-Roll Bar ? Rear Anti-Roll Bar ? Brake Assist ? Speed Control ? Bodyside Moldings ? Bumpers: Body-Color ? Power Door Mirrors ? Cloth Seat Trim ? Driver Door Bin ? Driver Vanity Mirror ? Front Reading Lights ? Illuminated Entry ? Overhead Console ? Passenger Seat Mounted Armrest ? Passenger Vanity Mirror ? Rear Seat Center Armrest ? Tachometer ? Tilt Steering Wheel ? Drivers Seat Mounted Armrest ? Front Bucket Seats ? Split Folding Rear Seat ? Passenger Door Bin ? Rear Window Wiper ? Variably Intermittent Wipers ? 3.29 Axle Ratio ? **Moonroof / Sunroof** ? 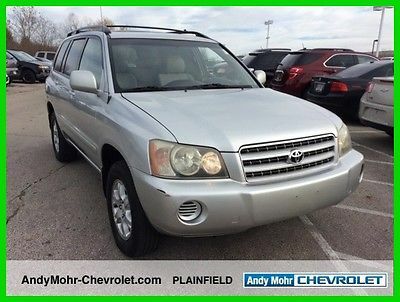 **Great Service History** Basic Information Stock Number: T70069B VIN Number: JTEHF21A820076200 Style Name: All-Wheel Drive V6 Make: Toyota Model: Highlander Model Year: 2002 Vehicle Type: SUV Exterior Color: Millennium Silver Metallic Body Type: SUV Interior Color: Ivory Engine MPG Automatic City: 18 MPG Automatic Highway: 22 Engine Description: 3.0L V6 SMPI DOHC Fuel Type: Gas Fuel Induction: Sequential MPI Valves Per Cylinder: 4 Aspiration: Normal DriveTrain 4WD Type : Full-Time Driven Wheels: All-Wheel Drive Locking Hubs: Permanent Transmission: 4-Speed Automatic With Overdrive Wheels Rims: Silver Styled Steel Wheels Spare Rim Type: Steel Drive Train Type: AWD Suspension Independent Suspension: Four-Wheel Stabilizer Bar: Front And Rear Instrumentation Clock Low Fuel Level Tachometer Roof and Glass Front Wipers: Variable Intermittent Privacy Glass: Light Rear Defogger Rear Wiper: Fixed Interval In Car Entertainment Antenna Type: Fixed Audio System: AM/FM Stereo Speakers: 6 Seats Drivers Height: Manual Seating Capacity: 5 Front Seat Type: Bucket Upholstery: Cloth Center Armrest Folding: Fold Forward Seatback Convenience Center Console: Full With Covered Storage Cruise Control Cupholders: Front And Rear Door Pockets: Driver, Passenger And Rear Overhead Console: Mini With Storage Power Outlets: 3 Seatback Storage: 2 Steering Adjustment: Tilt-Adjustable Steering Power: Speed-Proportional Power Steering Power Mirrors: Power Remote Power Door Locks Windows: Power Windows Comfort Air Conditioning: Manual Air Filtration: Interior Air Filtration Trunk Lights: Cargo Area Light Center Console Trim: Metal-Look Dash Trim: Metal-Look Reading Lights: Front Shift Knob: Urethane Steering Wheel Trim: Urethane Vanity Mirrors: Dual Vanity Mirrors Features Bumpers: Body-Colored Door Reinforcement: Side-Impact Door Beam Safety Turning Circle: 37.4 ABS: 4-Wheel Brake Assist: Braking Assist Safety Locks: Manual Front Headrests: Manual Adjustable Rear Headrests: 3 Rear Center Seatbelt: 3-Point Belt Driver and Passenger Airbag Door Reinforcement: Side-Impact Door Beam Towing and Hauling Tie Downs: Cargo Tie Downs Doors Rear Door Type: Liftgate Side Door Type: Conventional Dimensions Front Head Room: 40.0 Inches Front Hip Room: 55.1 Inches Front Shoulder Room: 57.9 Inches Front Leg Room: 40.7 Inches Rear Head Room: 39.8 Inches Rear Hip Room: 54.9 Inches Rear Leg Room: 36.4 Inches Rear Shoulder Room: 57.0 Inches Luggage Capacity: 39 Cu.Ft. Length: 184.4 Inches Width: 71.9 Inches Height: 66.5 Inches Wheelbase: 106.9 Inches Ground Clearance: 7.3 Inches Max Gross Vehicle Weight: 4,985 Lbs. Curb Weight: 3,880 Lbs. Message ? Apply Now Secure Credit Application Applying for a vehicle loan online is one of the quickest and easiest application methods. Our secure application is easy to complete, all you need are a few personal and employment details. Contact Andy Mohr Chevrolet 2712 East Main Street Plainfield Indiana 46168 View Map Ask for:James Mack Contact: ?Contact Us Primary Phone:(317) 748-9474 Hours Mon-Thurs:08:30am-08:00pm EST Fri, Sat:08:30am-06:00pm EST Sunday:Closed ?Credit Application ?Directions to Dealer ?Contact Us Terms Placing a Bid: Your bid constitutes a legally binding contract to purchase this vehicle. Please read eBay's User AgreementPayment Methods: Cash (in person), certified check, personal check, or 3rd party financing. All funds must be in US dollars only. Please be sure to have the full payment and/or approved financing in place before making your final bid. 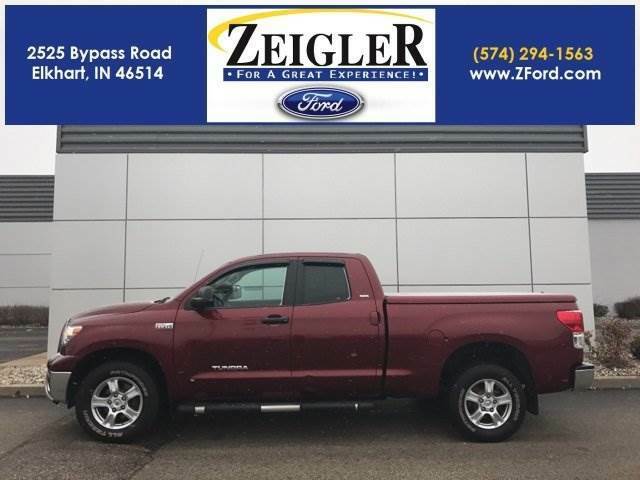 If you need assistance with getting approved for financing, please call James at 317-748-9474Deposit: We do not take deposits to hold vehicles for days. There have been situations in the past where we take a deposit to hold a vehicle and the deal never gets finalized and we have refunded the deposit and miss out on other opportunities. If we overnight paperwork and get the signed paperwork and payment we will hold the vehicle while pick up arrangements are made.Payment of Balance Due: The buyer agrees to pay the remaining balance due (plus applicable fees and taxes) within 5 business days (Monday-Saturday) of the close of the auction. All financial transactions must be completed before delivery of the vehicle.Additional Fees and Taxes: There is a $199 document fee that will be added to the winning bid. This fee covers all paperwork fees, temporary tags, eBay item costs, and security policy. We are required to collect Indiana state sales tax (7%) and Indiana DMV fees for all transactions for Indiana residents. Notice to out of state buyers: We are required to collect your local state and county sales tax for where the vehicle is going to be registered. Out of state buyers will be provided a form to take to their DMV showing sales tax has been collected. There are 6 states that do not accept a 3rd party (dealer) paying the taxes, so for those 6 states we have to ship the vehicle to you. Any buyer who is using a shipping company to ship the vehicle does not have to pay sales tax, and would only pay the document fee and shipping fee.Andy Mohr Chevrolet reserves the right to, Obtain and verify the registered information of all users who bid on this auction. Cancel any and all bids at our discretion, or end the auction early if necessary.All vehicles are available locally and are subject to sale prior to the auction end. Please contact our eBay manager to confirm a vehicles availability.Bidders Age: You must be 18 years of age or older to Bid. Special eBay Bid Retraction Rules: Please read eBay's "Retracting a Bid" If you place a bid before the last 12-hour period of the auction: You may retract that bid before that last 12-hour period but only for exceptional circumstances. You will not be allowed to retract that bid during the last 12-hour period of the auction. If you place a bid during the last 12-hour period of the auction: You will be allowed to retract the bid for exceptional circumstances but only if you do so within one hour after placing the bid.Funds & Financing: For help in arranging for a Pre-Approved loan or for any questions please e-mail or phone James at (317) 748-9474 prior to bidding. Buyers Inspection: Andy Mohr Chevrolet has done our best to disclose all information known about this vehicle for auction. Andy Mohr Chevrolet welcomes a buyers inspection. If you plan to have a buyers inspection, please make sure you inspect the vehicle prior to the auction ending. Inspection fees if any are Buyers responsibility. Representations and Warranties made by seller: This vehicle is being sold "as is". Manufacturer's warranties may still apply. Extended warranty may be available, e-mail or phone James at (317) 748-9474 for details. No representations or warranties are made by seller, nor are any representations or warranties relied upon by bidders in making bids. Taxes and Registration fees: Out of state buyers are responsible for all state, county, city taxes and fees, as well as title service fees in the state that the vehicle will be registered. All taxes and fees will be collected prior to delivery. Title Information: Vehicles titles may be held by banks or lenders as collateral for loans. In many cases there is a delay in receiving the original instruments up to 21 days from the time we pay a vehicle off. While we usually have all titles in our possession at closing, there are occasions where we may be waiting for them to arrive. If payment is made by cashier's or personal checks we will hold all titles for 10 days or until funds have cleared. Shipping & Delivery: All shipping charges are buyer's responsibility. Andy Mohr Chevrolet will help with shipping arrangements but will not be responsible in any way for claims arising from shipping damage!Licensed Carriers are generally insured for $3,000,000.00. We assume no responsibility for damages incurred after the vehicle leaves our lot. All shipping arrangements are provided by Andy Mohr Chevrolet as a courtesy. We are not affiliated with any carrier. Any claims or other communication regarding shipment of vehicles will be between you and the shipper, not with Andy Mohr Chevrolet. The amount of time it takes for delivery is dependent on the carrier, but is generally 7-14 days from the date the vehicle is picked up from our facility until it is delivered to your destination. Verify with the shipper for an Estimate Time of Arrival to be sure. Finalizing your Purchase: Andy Mohr Chevrolet will contact the successful high bidder by e-mail or phone after the auction closes. Successful high bidder MUST communicate with James at Andy Mohr Chevrolet by e-mail or phone (317) 748-9474 within 24 hours of the auction ending to make arrangements to complete their transaction. If we cannot confirm your intention to buy or the sale is not completed within 5 days, we reserve the right to relist this vehicle or sell to any other qualified buyer. Copyright © 2017 Auction123 - All rights reserved. - Disclaimer +- Auction123 (a service and listing/software company) and the Seller has done his/her best to disclose the equipment/condition of this vehicle/purchase. However, Auction123 disclaims any warranty as to the accuracy or to the working condition of the vehicle/equipment listed. The purchaser or prospective purchaser should verify with the Seller the accuracy of all the information listed within this ad. Selling a Vehicle? Create Professional Listings Fast and Easy. Click Here! 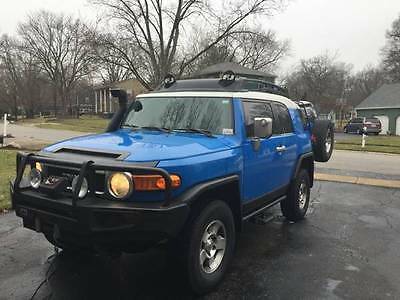 2007 FJ Cruiser Roof rackLadderMoonroofRemote starterSafari snorkelBluetoothTRD SuperchargerWarn wenchARB bumperOriginal FJ floor matsSirius radio capable3" liftWe are the second owners of this great unicorn. Total head turner every where you go! Beyond sad to see it go but we need more room for our family. 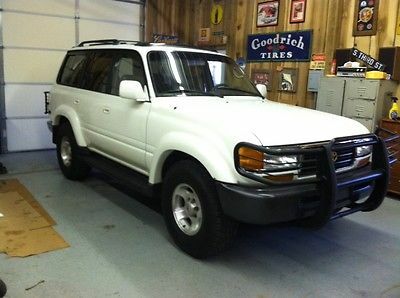 I have a 1997 Toyota Land Crusier that I would classify as in above average condition. It does have a few dings nothing major, the paint is smooth and shines for its age, a little spot of rust behind the drivers side rear door once again nothing major, but will need attention at some point.The interior is nice with the exception of the driver seat, it could use a new seat cover, but is not terribly bad. The carpet and headliner is great. Door panels are perfect. The vehicle has never been smoked in. The drive train is perfect, the motors runs great, transmission shifts smooth and 4x4 system works with no problems. No leaks! Does not use oil! It does not have the wheel lock system! Undercarriage looks good. Things that have recently been completed: -Change both front and rear differential fluids-Changed Transfer case fluid-Changed engine oil and filter-All new raitator hoses/clamps/fluid-All new fan belts-New muffler ( I deleted the cat converter so check engine light Is on) converter can easily be added if important to you, I will take care of that if needed.-New Nitto 285 all terrain tires-New Weather Tech Floor liners from front to back-New Hood Latch and cable Things it that can be done:-It needs new radio ant. mast, motor works fine but the mast is broke off.-Front drivers seat cover This vehicle is for sale locally and I reserve the right to end the auction at anytime. $1,000 is due immediately after auction ends and balance due within 72 hours. 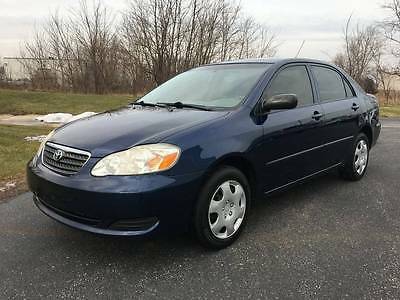 For sale is my 2007 Toyota Corolla CE. The car has 148,623 miles. The miles won't go up much since I have another daily driver now. Indigo Ink Pearl exterior over Beige cloth seats. I bought the car in September/October of 2015. 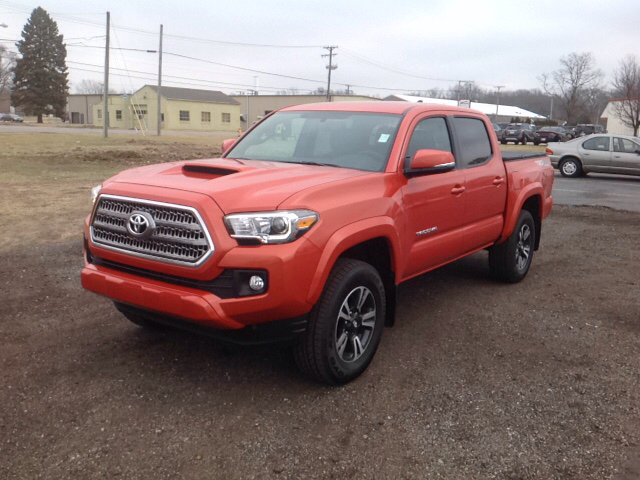 I work at a car dealer (where the car is currently located at) and we took it in on trade. I am the 2nd owner and the 1st owner took it to the Toyota dealer for every oil change and service. I just used the Duke of Oil next to my work, but have used synthetic oil every time (prefer it over conventional in all my vehicles). Tires are Firestone and have about 5/32nds tread left on 2 tires, 6/32nd on 1, and 8/32nds on another. Original equipment on the vehicle include power locks, power windows, automatic transmission, factory carpet floor mats and automatic headlights (my 2016 doesn't even have that!). I have 2 keys, owner's manual, and a CARFAX report. No accidents. Car was completely stock when I bought it.Here are some things I added/had done:-New Windshield (installed right when I purchased it)-NGK Iridium Spark Plugs (installed right when I purchased it)-K&N Drop-in Air Filter (installed right when I purchased it)-Tinted Windows at 35% (installed right when I purchased it)-New Phillips Crystal Vision Headlight Bulbs (put in about a month ago)-New Hubcaps (installed about a month ago)-JVC Head Unit w/ Bluetooth and USB (installed right when I purchased it. I do not currently have the mic wired up. Will include the original radio)-JVC Speakers in the front doors and rear deck (installed right when I purchased it, will include the originals)-JL Audio 12" Sub and Amp (installed right when I purchased it)-Replaced the front brake pads and rotors, and also replaced the rear drums and shoes (installed over the summer)-Painted Bumper Plugs (installed right when I purchased it. These go in the front license plate holes and can be removed)-LED Back-Up Light Bulbs (installed about a couple months ago)-LED License Plate Light Bulbs (installed about a month ago)Car runs awesome and never had any mechanical issues. Great MPG!There are some flaws though as with any used vehicle:-Rearview mirror glass is becoming discolored along the edges-Large dent on the passenger front door-Smaller dents here and there, some hail dents on the roof-Some chips and scratches throughout, larger scratches over the driver rear door from when I was moving some stuff :(-A lot of rock chips on the front bumper and hood-Some minor seat stains-The key can be hard to use when opening the trunkEverything works as it should. All windows roll up and down, cruise control works, AC blows cold, heat blows hot, etc. If you have any questions about it, let me know. The only reason I am selling is because I upgraded to another car (that was my intention when buying this, just to have it for a year or so). If you want to be a member of the exclusive FJ Cruiser Club you are looking at the right ONE! A 2013 FJ with 47k miles that looks like it is off the Custom Showroom Floor. That’s right the only one like it featuring 3” lift, Enduro Rims, Mickey Thompson rubber and Spyder fog lights to name a few of the extras. On road or off-road it will perform and you will look good. A T-Case skid plate, Bushwacker smooth fender flares and Spyder bumper extensions all add to the ruggedness. Mechanically the Unichip Performance Module, K&N Air Intake and the TRD exhaust really enhance the performance. 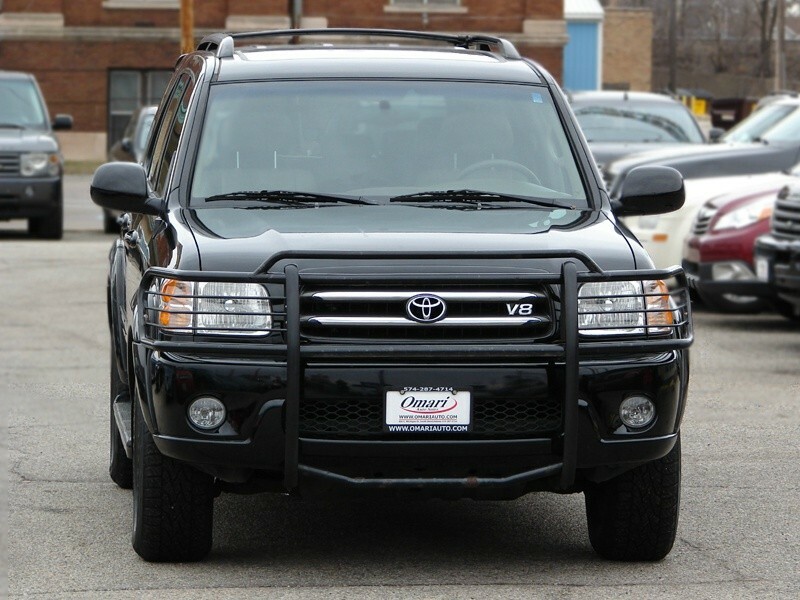 Rugged and durable with a transferrable 5yr 100k mile warranty from Toyota (October 2014). If that is not enough to convince you, you could tow your other toys because it has a Toyota hitch and harness which will support pulling up to 5000 lbs. All Black Exterior, Black/Grey leather interior. Great Avalon for sale! Clean and well maintained. New tires, brakes, rotors.Runs perfect. No issues. Had a minor accident in the front. No airbags deployed. Pictures upon request. We have been rebuilding cars for many years. Buy with confidence!Shipping can be arranged . Buyers can be picked up from South Bend Airport.Thank You!